It's no secret that you don't have to spend a small fortune on the HDMI cables connecting your home theater gear. But that doesn't stop Monster from charging hundreds of dollars for its cords, justifying the costs with features like glowing signal indicators. 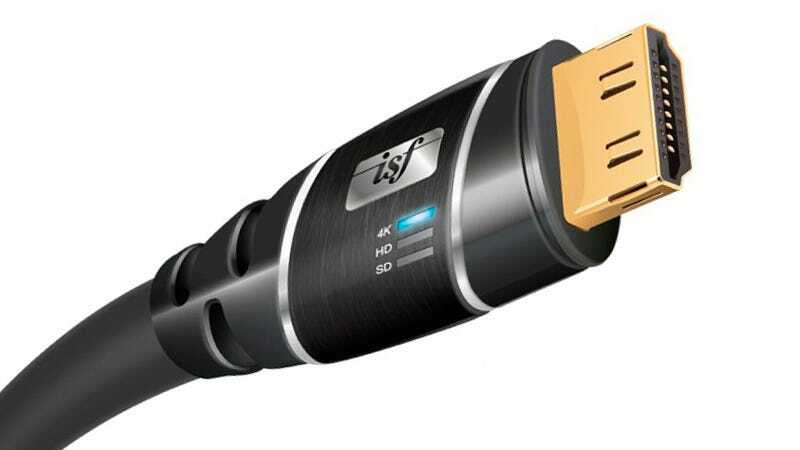 The company's newest line of HDMI cables are certified by the Imaging Science Foundation—or ISF—to deliver "maximum picture and audio quality" but since it's a digital signal, that doesn't actually mean much. What makes these HDMI cables worthy of note—and the 'smart' descriptor—is a simple LED indicator that lets you know if the cable is sending a standard def, HD, or 4K video signal. It's supposed to guarantee you're getting the best signal quality, but it seems more useful in a complicated theater setup where it could make identifying multiple HDMI cables easier.